Can I just say that I absolutely love fall! 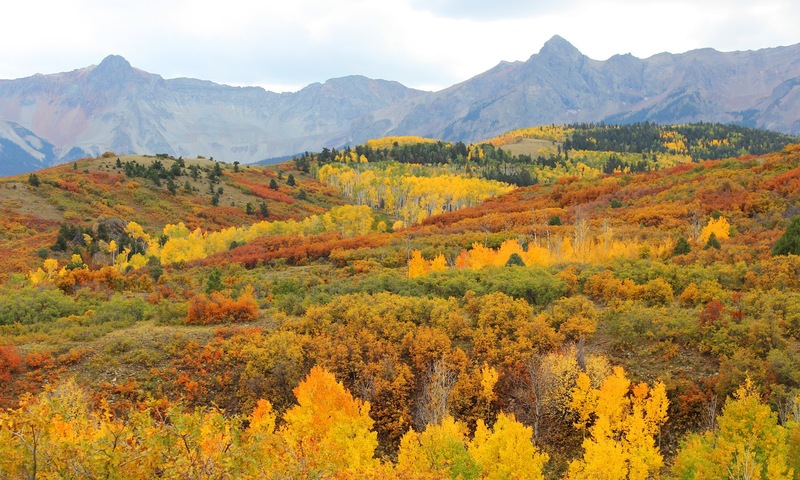 Yesterday we headed down to Telluride to spend the day viewing all of the beautiful fall colors. I've been wanting to do a drive like this for the last couple of weeks, but wanted to try and time it just right - go too soon and they've still got a lot of green in them, wait too long and they're too brown. Well I think we managed to time it pretty darn well. 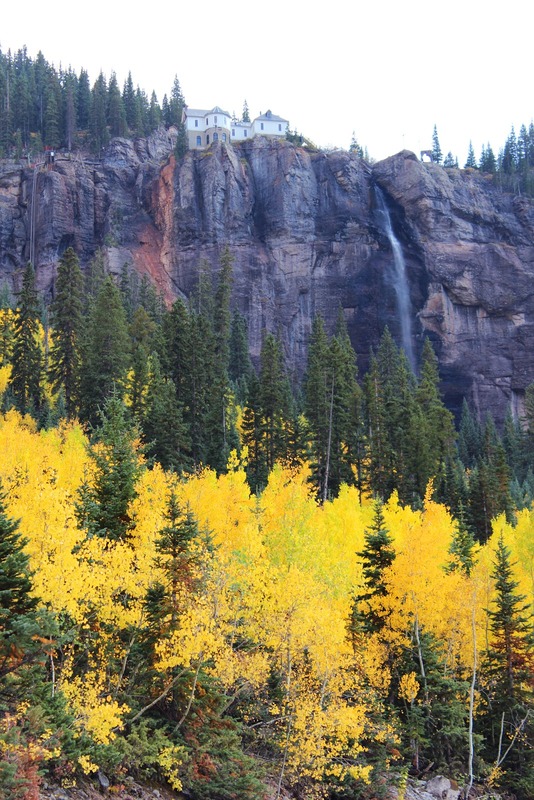 We stopped at a couple pull outs along the drive (including Dallas Divide), headed up to Bridal Veil Falls in Telluride (Colorado's tallest waterfall), and then south towards Lizard Head Pass. The colors were absolutely phenomenal! Everywhere we went the aspens were bright golden yellow and lit up the entire mountain side. Pretty! You could be a photographer!